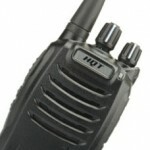 The DH-2800 redefines affordable DIGITAL licensed two-way radio with great quality, loud clear audio and compact, yet robust, mechanical design. Simple operation and controls, coupled with versatile and advanced features, let the DH..
As well as being an advanced DMR mobile digital two-way radio, the MD785 features clever ergonomic design, digital functions and class leading build quality. 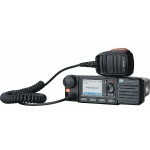 With its superior digital voice clarity messages get through firs..
As well as being an advanced DMR mobile digital two-way radio, the MD785G features clever ergonomic design, digital functions and class leading build quality. 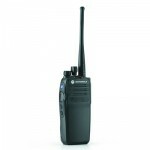 With its superior digital voice clarity messages get through fir..
As well as being an advanced DMR handheld digital two-way radio, the PD705 features clever ergonomic design, digital functions and class leading build quality. 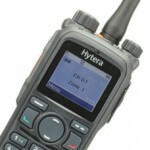 With its superior digital voice clarity messages get through fi..
As well as being an advanced DMR handheld digital two-way radio, the PD705 features clever ergonomic design, digital functions, GPS positioning and class leading build quality. 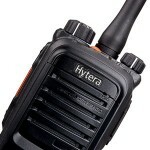 With its superior digital voice clarity m..
As well as being an advanced DMR handheld digital two-way radio, the PD785 features clever ergonomic design, amazing digital functions and class leading build quality. With its large colour display and superior digital voice cl..
As well as being an advanced DMR handheld digital two-way radio, the PD785 features clever ergonomic design, amazing digital functions, GPS positioning and class leading build quality. With its large colour display and supe.. The Motorola DP3400 Portable Radios, part of the MOTOTRBO range, are ideal for professional organizations that need a customizable, business-critical communication solution using licensed spectrum. ETSI DMR Standard-compliant digital technolog..